← The medium of Radio 8-Ball, whack! For the last company picnic, our management decided that, due to liability issues, we could have alcohol, but only one (1) drink per person. This was sent by Bubble~Trouble. I repost because I am booking company picnics for summer. 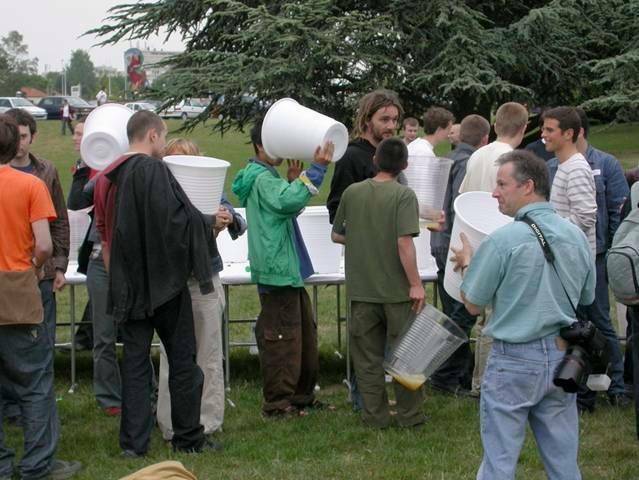 Though this doesn’t exactly look like my target audience, I would like to track down those cups! What companies in the South Sound area will be hiring for picnics? You hook me up with a successful gig at a company and I’ll throw in a private appearance for ya. Posted on April 9, 2008, in :o). Bookmark the permalink. 1 Comment.